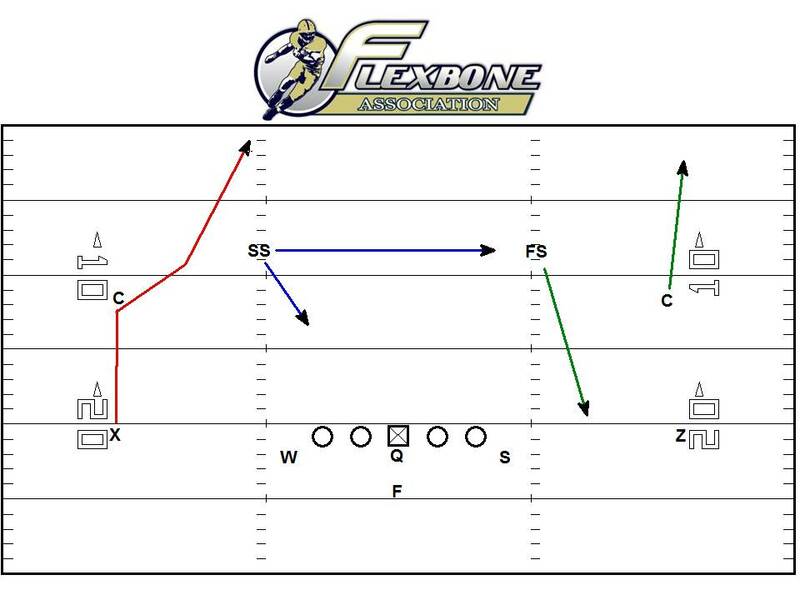 I used to coach this offense and run these camps, and we wouldn’t spend all that much time at all on the technique of the backside receiver on play-action pass. Usually the instruction consisted of, “just have him run a dig, you might throw it to him twice a season”. Since moving down south I’ve gained a greater appreciation for that backside receiver in the play-action passing game. That reason is southern speed! We now spend more time with what that receiver will be doing on the backside because secondary players are faster down here than I’ve seen in Wisconsin. A prior article I wrote covered the one absolute must, that you have to have in your play-action passing arsenal. The majority of teams I see down here are two-high safety teams. The same holds true at the college level. If you coach in a smaller school in a more rural area, chances are you see a little more one-high safety defenses. The concepts I will cover here are more geared toward two high-safety teams, but depending on what that one-high safety does, chances are they will apply to that defense as well. To run play-action passes against this playside scheme, you should first look to the post-wheel concept. If you are coaching at the college level, or playing the types of teams we play on Friday nights, you must also take into consideration what they are doing on the backside of the secondary. Working from playside to backside, first what is the backside safety doing, then what is the backside corner doing. If the backside safety inverts to a cover three look, that cancels out the backside post, because running two posts against a deep middle defender become ineffective the deeper the routes are run downfield. 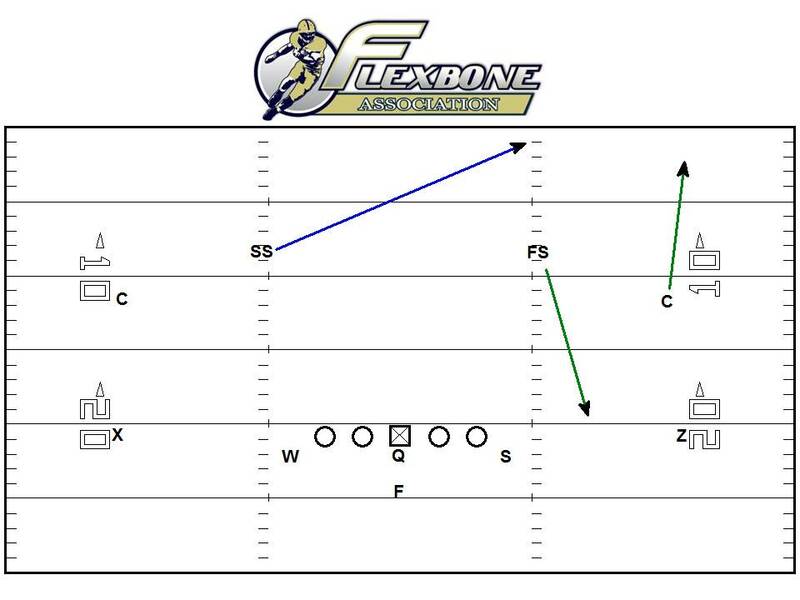 The best route to run against an inverted cover three look is the dig. Many opponents will allow their backside corner to play the deep third until you complete a few routes inside of him to the backside receiver. Once that happens they may adjust and either man him up or play inside leverage. This of course helps you in your counter game, especially counter option, because they may rotate #3 very late to counter option. Either way the defense is giving up something. These small route ideas on the backside of play-action pass will help your program. Especially if you are playing against the quality of corners we play against in the south. If you are running the entire Flexbone Association Academy System, you will be very hard to beat.